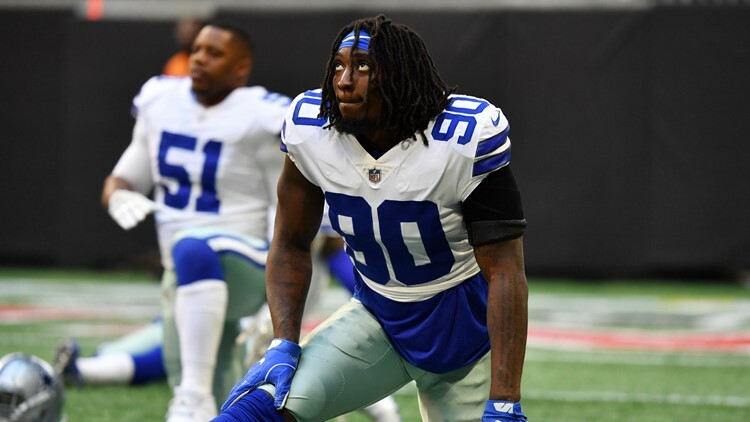 DALLAS — The Cowboys have reached a long-term deal with star pass rusher Demarcus Lawrence. The NFL Network's Ian Rapoport broke the news on Friday evening that the two sides "broke through their stalemate" to reach a 5-year extension worth more than $100 million. ESPN's Todd Archer also reported on the deal, saying the extension was a five-year, $105 million deal, with $65 million guaranteed. The Cowboys official account confirmed the terms of the deal. Lawrence broke through the last two seasons as one of the best pass rushers in the league, totaling 14.5 sacks in 2017 and 10.5 in 2018 and earning Pro Bowl nods in both years. Lawrence appeared to be happy with the deal on Twitter.